T.S.T. Lyttelton II was built by Lobnitz & Co. Ltd., Renfrew, Scotland for the Lyttelton Harbour Board in New Zealand in 1938-9. She was a twin engine steam tug built to a high standard when marine reciprocating steam technology had reached its peak. Being a ship of substantial size she made the trip out to New Zealand under her own steam arriving in Lyttelton on June 8, 1939 after a three month and ten day delivery voyage. 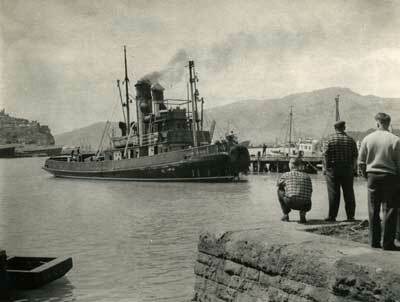 For the next forty years she worked for the Lyttelton Harbour board as a port tug. 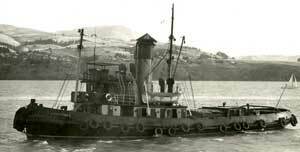 In 1981 she was retired, redundant – the last working steam tug in New Zealand. She was still in excellent condition but Lyttelton Harbour already had a preserved steam tug giving tourist cruises and the tourist population could not support another. Lyttelton II was sold across the Tasman to a group of steamship enthusiasts, the Pittswater and Broken Bay Steam Ship Preservation Group of Sydney, to undertake cruise work. The $16,000 purchase price included delivery to Sydney and in April of 1981 a crew of Kiwis set off on what was the last trip across the Tasman in a coal fired steam ship. At this stage Lyttelton II was in Lloyds survey and the new owners had their fun with her. She even starred, along with Ruth Cracknell, in a 1985 TV movie “Island Trader”. 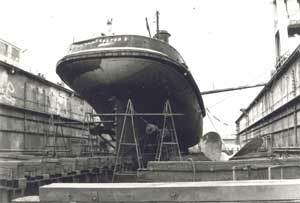 Eventually the time came that she was due to be dry docked for survey, and when the realities of maintaining a ship like this were weighed up it was deemed time to part company and she was sold on to a Geelong steam ship enthusiast for $46,000 in 1987. She steamed down from Sydney coming through the heads to berth in Geelong. She went up to Melbourne for survey. Unfortunately the new owner found he was unable to meet the costs and Lyttelton II was seized by the dock owners. The hull had been cleaned off before the money ran out so she was put back in the water without having had the necessary hull work done, with no antifouling and with only a single coat of paint and without cathodic protection. Even at this time the estimate for the repairs required to bring her up to a standard where she could carry passengers was around $100,000. Back in the water with no protection against further deterioration of the hull her fate was sealed unless a well cashed up saviour arrived. There is something very romantic about steam ships and the Lyttelton II was a gem of a steamship. A group of steam enthusiasts, the Bay Steamers, owners and operators of the Steam Tug Wattle, fell deeply in love with the vessel. Determined to save it, they purchased it on terms, paying it off over several years. They were desperate to save the vessel but they lacked the cash and discovered just how hard it is to raise funds for a heritage preservation project such as this. At the time of the purchase the Wattle was still in survey and running public sailings but things were not going well with the group. There were internal conflicts and operations were not generating sufficient funds to cover the expensive hull work needed to keep the Wattle in survey let alone provide for the Lyttelton II. By 2004 both tugs were laid up at 20 Victoria Dock in Melbourne. The Wattle group saw that they were unable to save both ships and hived off the ownership of the Lyttelton a smaller group who then tried every available option to save the ship but to no avail. In mid 2005 there was a crisis when the ship took on water and started to sink at the moorings. Quick work with the pumps and a lining of concrete in the hull kept her afloat but it was obvious that action was needed. The owners contacted the Melbourne Steam Traction Engine Club when mainstream museums declined to take up offers of the ship’s engine room. 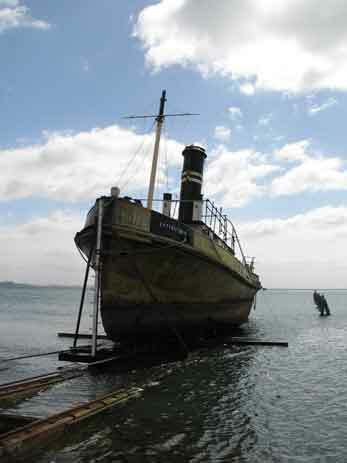 The Lyttelton II made her last trip, under tow, from Melbourne to Geelong to meet her end at the hands of the scrappers in 2006. Her history in preservation is a sad tale of high hopes and good intentions coming to nothing.